The Delta line of uninterruptible power supply units includes superb options trusted by leading organizations across a wide array of industries, from financial institutions to medical centers. Small business owners also look to Delta for power solutions that keep their vital equipment running no matter what happens. Devices in the Amplon UPS family offer single-phase online UPSs with power ratings up to 12 kVA for servers and networking equipment. In the Ultron UPS family, three-phase online UPSs have power ratings of up to 4000 kVA, perfect for data centers, industrial facilities, and more. Three-Phase online modular uninterruptible power supply systems from the Modulon UPS family offer scalability and redundancy in a single frame, with up to 480 kVA. Delta’s UPSs are some of the most advanced in the industry, renowned for their innovation, reliability, and efficiency. Delta’s Amplon family UPS Series offers single-phase double-conversion UPS systems for power rating requirements above 1kVA that support medium to small network devices, security and surveillance systems and POS systems. It includes the E series of true online double conversion UPSs, which provides long backup time; the N series, which provides continuous and stable power to critical loads; and the RT series with the full-time protection and output power factor of low iTHD in a rack or tower configuration. The Ultron family’s mid to large scale UPSs offer the perfect power protection solution for SMBs, telecommunications, banking, and medical facilities. These UPSs provide the best possible safeguard against unexpected disruptions to the power supply of critical IT applications in both IT rooms and in midsize to large datacenters. 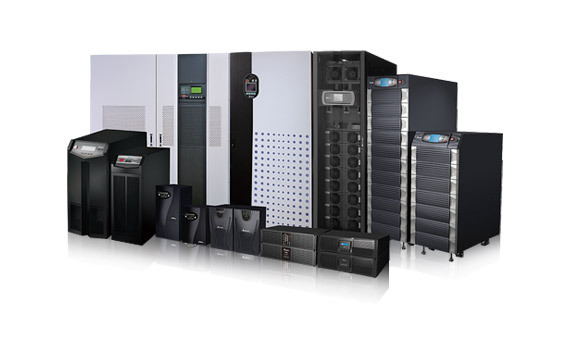 Ultron units can be relied upon for a wide range of different application needs, with many options available for power protection of the outstanding features, including dual input design, high energy-efficiency UPS, parallel expansion UPS , three phase PFC UPS, and N+X redundant configuration. The Ultron H series is an on-line three phase UPS which provides quality power for IT rooms, SMBs,telecommunications, banking and industry. With dual mainsinput, it guarantees higher reliability for your mission criticalapplications. The word Modulon (Modular + on) highlights scalability, which is the core feature of this UPS design. Bolivia Clients can purchase UPS systems with greater flexibility based on their initial unit needs, and as demands increase, this decision will result in maximum system benefits and a lower TCO.